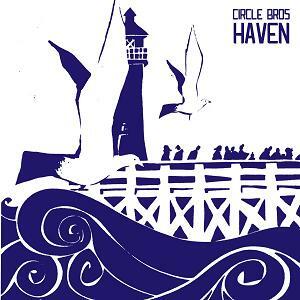 Blurred pictures, a slight feeling of nostalgia and melancholy, thick layers of guitar chords, indistinct voices, as if pronouncing unknown mantras, echoes from the past – all these flashes of artistic imagination are available for you in Circle Bros’ album “Haven”, released on Morc Records. Representing a characteristic specimen of drone ambient experimental music, this work deserves attention and listening. You can find here both usual and unusual ways of using a guitar – strummings, sustains, echoes and stretched sounds, which are closely interwoven with each other, creating a certain atmosphere of meditating, submergence into the ocean of acoustic occurences of the author’s flight of inspiration, and trembling, shining halo of unworldly images and energies. So, visit the “Haven” of Circle Bros. This entry was posted in Uncategorized and tagged ambient, Circle Bros, drone, Morc Tapes. Bookmark the permalink.